You’ve probably heard the concept of “joint custody” in divorce cases. You might think this means that parents share custody of their children equally, with each parent having custody time similar to equal to the other parent. There’s a problem with this idea, however: “joint custody” does not exist in Florida law. Instead, Florida law has the concept of “shared parenting” — and even this is not exactly what it sounds like. In every divorce case involving children, a judge must issue two separate but similar-sounding orders: one is a “parental responsibility” order and the other is a “time-sharing schedule”. The time-sharing schedule is exactly that: a schedule of the times each parent will have custody over the child or children. A parental responsibility order, however, outlines the parents’ rights and responsibilities. The differences can be confusing because, under Florida statutes, the parental responsibility order is included in a “parenting plan”. Under this plan, the judge can grant one of three different options: (1) sole parental responsibility, (2) shared parental responsibility, and (3) shared parental responsibility with ultimate responsibility to one parent. Sole parental responsibility is just that: one parent has responsibility over some or all aspects of the child’s life. Shared parental responsibility means parents must confer on all aspects of the child’s life. Finally, shared parental responsibility with ultimate responsibility to one parent means parents generally share responsibility, but one parent maintains control over specific decisions, even if both parents don’t agree on those decisions. It is very important to note that Florida Statute 61.13(2)(c)2 requires the court to order shared parental responsibility in every case unless the court finds that shared parental responsibility would be detrimental to the child. In other words, if you don’t ask for sole responsibility, you’re not going to get it. It is important that you and your attorney understand the importance of this request. This is because it can actually be detrimental to the child to order shared responsibility when it is obvious that parents will disagree and constantly argue about the best interests of the child. These types of parents often end up back in court, asking the judge to make a contentious decision, such as ordering drugs for a child with ADD. As you can see, divorce can be a complicated process, especially if children are involved. 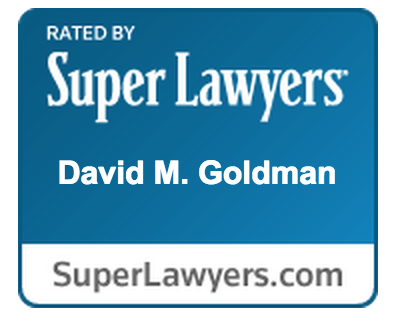 It is important to have an understanding and competent attorney to help you through. Contact a Florida Family Law Attorney to discuss your situation.